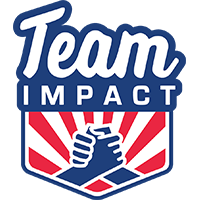 Team IMPACT (TI) is a 501(c)3 non-profit organization chartered to improve the quality of life for children facing life- threatening illnesses through the power of team. Core to our model is harnessing the power of teamwork by matching these courageous kids with college athletic teams. 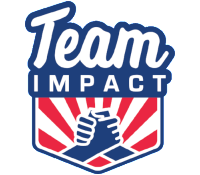 Team IMPACT children are drafted onto local college athletic teams and, to the greatest extent possible, become an official member of the team for the duration of the relationship through to graduation.